Brad Wall has been around politics long enough to know that perception is just as important as the letter of the law (or the guideline, in this case). Trying to induce Calgary-based oil companies – especially ones in which the Saskatchewan premier owns shares – to move head offices to Regina looks sleazy, regardless of what his ethics commissioner says. Grant Fagerheim, CEO of Whitecap. The test for political optics is similar to the legal principle, What would a reasonable person think? Part and parcel of the reasonable person principle is the recognition that those with greater than average skills, “or with special duties to society,” are held to a higher standard of care. Surely the Premier of Saskatchewan possesses both well above average “skills” and has a special duty to his society, his government, and the citizens of his province? And doesn’t that include a duty to avoid dubious behaviour that doesn’t pass the smell test? 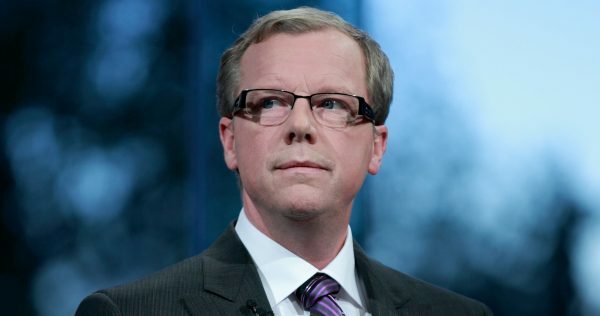 Wall recently wrote letters to Calgary oil company CEOs operating in Saskatchewan, offering inducements to relocate their head office to Regina. He sent one such letter to Grant Fagerheim, CEO of Whitecap Resources, that was obtained by the Canadian Press. Only Toronto has more head offices than Calgary. There are two problems with this letter. One, Wall owns shares in Whitecap Resources, as well as several other oil companies that received a similar letter. According to the Journal, Wall and his wife Tami have 1,826 shares in Whitecap worth $18,842 as of March 30, representing 37.3 per cent of their total $50,466 in energy holdings (primarily in a registered retirement savings plan and a locked-in retirement plan). The investments are not large. Wall asked Conflict of Interest Commissioner Ron Barclay to look into the matter and the former lawyer concluded the Premier was not in a conflict. But the spectacle of President Donald Trump breaking conflict of interest rules left and right since taking office two months ago has made voters on both sides of the border sensitive to financial misbehaviour- both real and perceived – by politicians. Elected officials should not, under any circumstances, use their positions to enrich themselves. Or appear to be enriching themselves. How hard would it have been for Wall to ask Energy and Resources Minister Dustin Duncan to send the letter to the companies in which he and his wife hold shares? Or Jeremy Harrison, the minister of economy, who as it turns out was sending more poaching letters the very next week anyway. Two, political scientist Duane Bratt agrees with Alberta Premier Rachel Notley when she charges that Wall’s actions violate several Canadian internal trade agreements to which the four western provinces are signatories. I wrote about this issue in yesterday’s column. “Since becoming Premier, [he] has continuously made efforts to attract head offices, investment and jobs to Saskatchewan and will continue to do so,” Wall’s office said in a statement. Scott Crockatt, Calgary Chamber of Commerce. Competing against other provinces for new investment – in a plant or facility, say – would presumably be ok. Relocating head offices from out of country would be ok. Maybe even provinces east of Manitoba, though active courting by Wall might raise a political eyebrow or two. 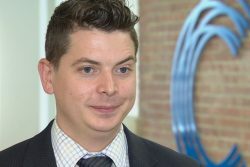 But deliberately poaching Alberta head offices in contravention of the agreements is not ok, according to Scott Crockatt, spokesperson for the Calgary Chamber of Commerce. “Premier Wall is being decidedly unproductive in this endeavour with Alberta businesses. As resource-intensive Western provinces, I think we should be focused on how we grow the economic pie, rather than wasting effort worrying about which province a head office resides in,” Crockatt said in an emailed statement. Calgary is a well developed oil and gas “cluster” that Regina can’t begin to compete with. 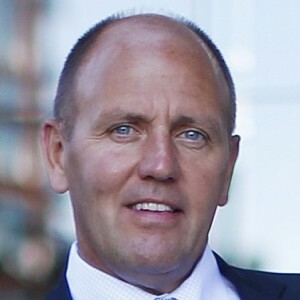 Fagerheim says that while he appreciates Wall’s efforts (his company has appreciated them to the tune of almost $12,000 in donations since 2009, according to the Journal), Whitecap has no plans to pack up its 150 employees and head east. At the very least, Wall should leave the letter writing to economy minister Harrison. Even better would be for Saskatchewan to stop trying to poach Calgary head offices and instead try growing the economic pie, not stealing slices of Alberta’s. On behalf of Saskatchewan taxpayers, thank you for writing this. I think it’s also important to mention that while Brad is courting oil companies, his government has simultaneously sprung a surprise budget on us, cutting millions of dollars in supports and services that the most vulnerable citizens of our province rely on. Taking from the poor to give to the wealthy is indeed “sleazy”, and I have other words for it too. Brad’s not poaching them.. the NDP is kicking them out. Anyone else notice the juvenile one-liner from Chris? Typical right-winger. When uncertainty is created by a governing party move to a stable area is called for. Current Tax and borrow policies are unsustainable in Alberta. Showing the difference is good politics. 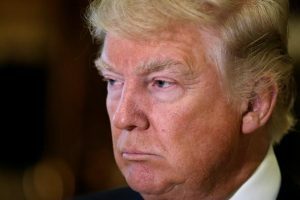 You do realize that Wall increased taxes, and is borrowing? He’s had 1 year of a balanced budget, when oil prices were crazy high. The difference? He’s not showing differences, he’s breaking trade rules he signed up for. Not only that, he’s targeting companies that he has a financial stake in. Did you read the article?